Home / New on our blog. 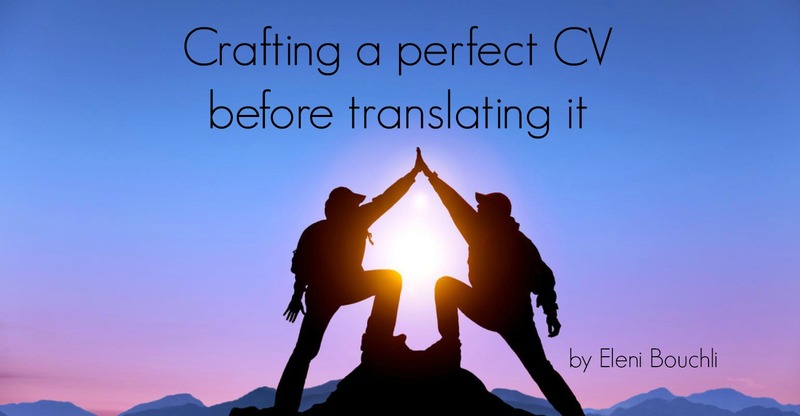 Crafting a perfect CV before translating it. Crafting a perfect CV before translating it. The inspiration to write this article was given by a client of mine. He called me one morning telling me that he was interested in translating his CV, and he wanted to know how much it’d cost him and when it would be ready, of course. Clients are always very much preoccupied with the cost – and believe me, I don’t blame them. The thing is that a translator cannot estimate a cost until he/she casts an eye on the actual text which needs to be translated. Of course, on the phone one may try to give a rough estimate, but you should be aware that the translation cost depends on many factors: the size of the text, its technicality, and its delivery deadline; to name just the most important ones. So, he e-mailed me his CV and what I saw was a document missing formatting, without chronological order, hastily crafted with many mistakes that did not worth to spend money on translating as it was, but it offered ample room for improvement to make it stronger, both in Greek and in English. So, ... Read more at our blog.